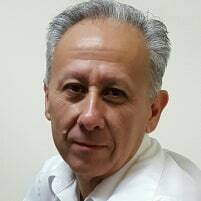 Roland Cuellar (‘kway-are’) has focused exclusively on agile software development and lean business process improvement for the last 14 years. During that time, I have worked with Capital One, CNBC, Westinghouse Nuclear Power, Nationwide Insurance, US Citizenship and Immigration, the US Courts, and many many other clients on enterprise agile adoption. I have also worked with a number of start-ups and early-stage ventures to help accelerate delivery. I have spoken at numerous conferences and have published a number of articles on the subjects of agile, portfolio management, quality, and kanban. I have a BS in Computer Science from the University of Houston and an MBA from UCLA. I have a strong belief and affinity for lean methods and I believe that with willing and open-minded management and team members, we can always discover better ways to deliver. We often hear how Agile and Lean UX techniques are applied to software development, but there is much less information available on how to use these same ideas to develop new hardware solutions. In this experience report, Matthew Maddox, VP of Digital Strategy at Mirion Technologies and Roland Cuellar of Lithespeed will show how Lean UX techniques were successfully applied to the design of new and highly complex integrated hardware and software products. Mirion makes complex, highly regulated equipment that is focused on radiological safety for national security, first responders, and nuclear power. Mirion’s radiation detection equipment is used to protect people from radiation exposure, secure major events, and track down illicit radiological sources. Over the past year, Mirion has been experimenting with agile and lean UX techniques to design it's next generation radiation detection hardware and software. In this experience report, we will hear how Matthew utilized rapid, lightweight, lean UX techniques to quickly develop hardware prototypes, gather feedback from past and potential new customers, and quickly pivot initial designs based upon feedback from customers. As a result of this important process innovation, Mirion is now embracing more modern digital and agile techniques to more quickly bring innovations to market that are more closely aligned with customer desires. Matthew Madox is the VP of Marketing & Digital Strategy, and lead the field research, primary design and customer validation phases of the next generation Personal Radiation Detector (PRD).